This Patient was Terrified of Dentists, Now She’s Ecstatic About Her Smile! 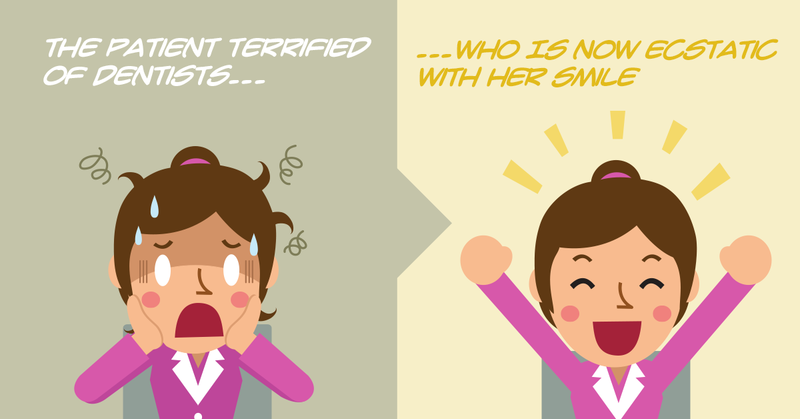 Although it is common to be afraid of dentists, truth is, there is no reason to be! Here at the Dental Suite, we see patients with dental phobias every day and we have a huge amount of experience in treating nervous patients. This is one of the reasons they choose to come and see us, after all! Patients with dental phobias, or dental phobia, have fear of dentistry on various levels. For example, some avoid the dentist completely and have not had a dental checkup for more than 30 years. Others, manage to put it off for a few years, until the pluck up the courage to seek help. Sometimes, it can take a while, at the expense of their dental health, of course. Who can argue that small cavities that could have been easily treated can lead to serious and expensive therapies (see root canal) or reconstructive work? Gum disease and decay are not to mess with. Take gum disease for example. It could be a simple gum inflammation or a major issue that causes damage to the bone and soft tissue that support your teeth, which may even result in tooth loss. 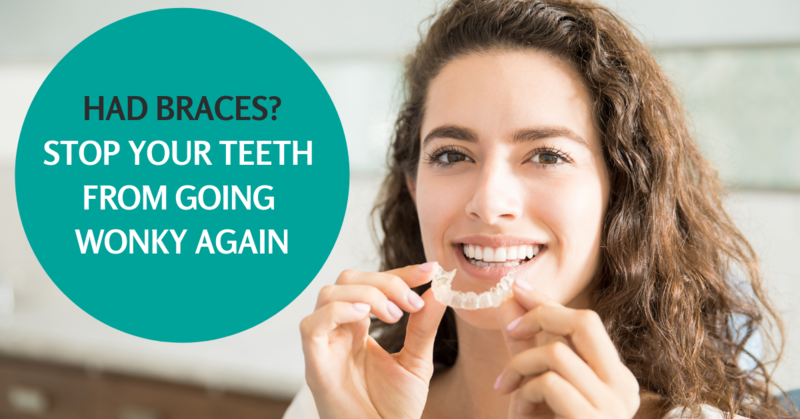 This happens because there are numerous bacteria inside our mouth, which, along with other particles, form a colourless and sticky plaque on the teeth that flossing and brushing can remove efficiently. When this plaque is not removed, it may form tartar that won’t go away with brushing. You will need to see a hygienist or dentist in this case the soonest possible because the longer these (tartar and plaque) stay on your teeth, the more deleterious they become. You could have gingivitis, where the gums are swollen and red and bleed very easily. However this is not the worst scenario, as you can reverse this issue with daily flossing and brushing and regular visits to a dental hygienist or dentist to have your teeth cleaned. If you leave this condition untreated though, you will end up in periodontitis, a gum disease where gums pull away from your teeth and forms gaps. 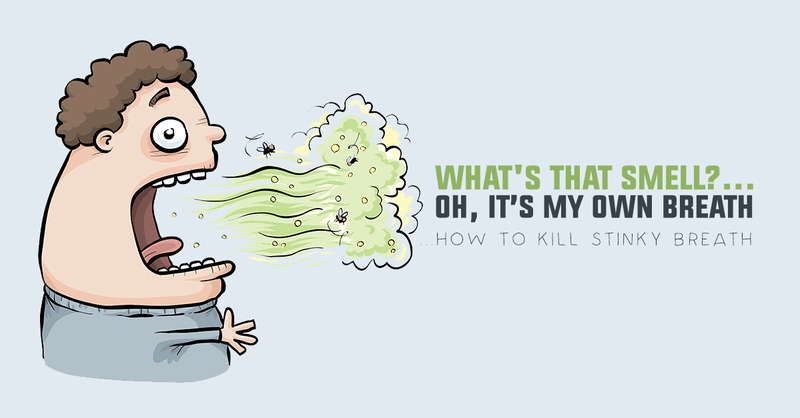 These spaces become infected and as the plaque spreads below the gum line, your immune system will fight the bacteria. As a result, your soft tissue (that helps keep the teeth in place) and bone start to break down, destroying all support the teeth can have, leading to tooth loss. 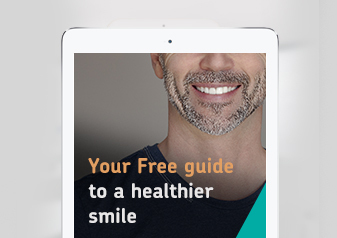 Now you know, wouldn’t it be easier if you just visit a hygienist or a dentist and have your teeth checked? There is nothing to be afraid of, especially when entering practices like ours, where we use sedation dentistry and have dentists and hygienists that know how to treat patients with dental phobias. This case shows a patient of ours that dreaded coming to the dentist and could not even walk through the door of our practice. However, once this lovely person got to know our team and noticed that we work in a pacifying and friendly environment, we were finally able to carry out a consultation. At this appointment, the patient told us she had a gum problem as they bled a lot and had a bad taste and smell in her mouth. Typical gum disease that if she did not resolve soon, she could end up losing her teeth. We explained that she required gum cleaning treatment with our excellent hygienist to allow our hygienist to clean all surfaces of her teeth and under her gums. The patient wanted to go ahead with the treatment and felt that gum treatment under IV sedation was the best option for her. She had a few sessions with the hygienist and we were able to restore her mouth to full health. Now, 3 years after that initial consultation, the patient is no longer nervous and comes to see our hygienist every 3 months and doesn’t require sedation for treatment anymore. She has not lost one tooth! Dental phobias become a thing of the past here at the Dental Suite.